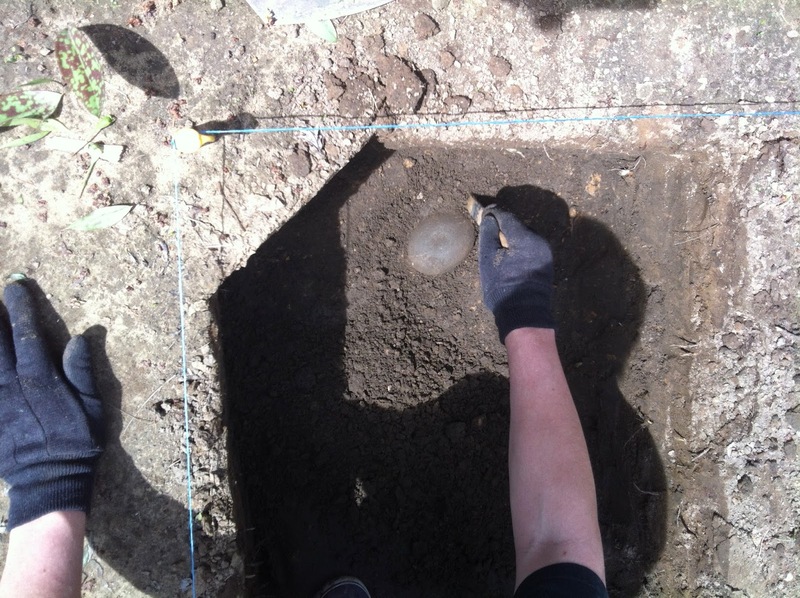 Lycoming College's archaeology field school returned to the Glunk Site in April to launch the 2014 dig. Working alongside NCC8 members, the students are excavating three units. On their first day at the site, two projectile points and a pitted hammer stone were recovered. The site is next to Ault, a unique Woodlands Indian village excavated by NCC8 during the later half of the 20th century. Interested persons and amateur (or professional) archaeologists are invited to join NCC8 at the Glunk Site during regular dig hours, generally 5-7:30 on Thursdays, and the occasional Saturday, 9 a.m. to noon. Please check the calendar at right to verify the dig is on, since inclement weather and conflicting schedules/holidays may interfere. There are NO meetings scheduled at the Taber Museum until the dig concludes for winter (November 2014). All activities take place at the dig site.